How are you today? 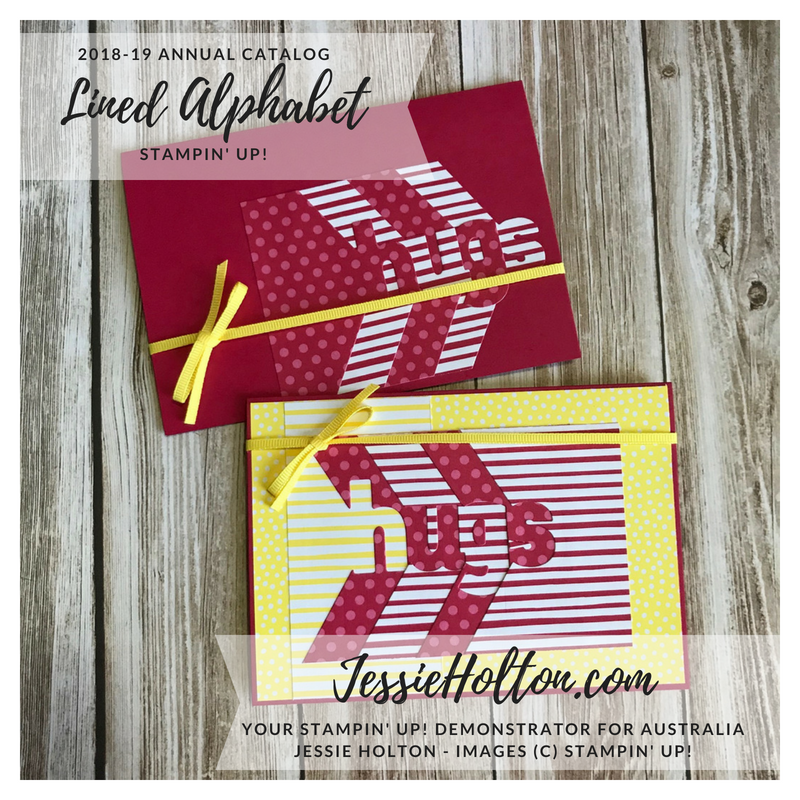 Here are some more samples from my recent Stamp Camp. 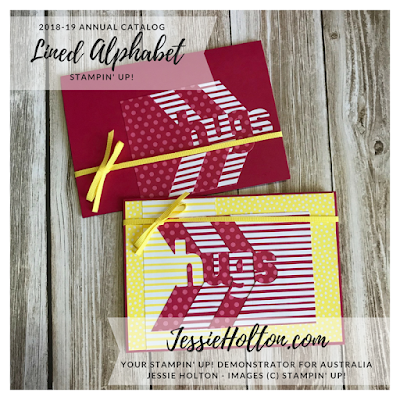 These use the Layering Alphabet Dies & the InColor Designer Series Paper (DSP) & coordinating cardstock & ribbon. These make for some really fun cards! And the dies are actually much easier to use than I thought they would be. I have used 7.5cm square pieces of cardstock & lined up the top & right hand side of the paper with the dies to cut my pieces, so no wastage cutting them down to size. This size worked well as I was able to cut four letters from each piece of DSP, but I don't think you could cut it any smaller than this.